Culture now has a prominent place on the urban policy and re-profiling agendas of cities around the world. City-based cultural planning emphasising creativity in all its guises has emerged as a significant local policy initiative, while the notion of the ‘creative city’ has become an urban imaging cliché. The proliferation of local blueprints for cultural planning/creative cities has been remarkable, while supra-state bodies such as the European Union and UNESCO are also fostering the use of culture in strategies to revive cities and urban economies and to brand places as ‘different’. Cities of Culture highlights significant trends in cultural planning since its inception, revealing and analysing key discourses and influential (globally-circulating) manifestos and processes, as well as their interpretation and implementation in specific places. 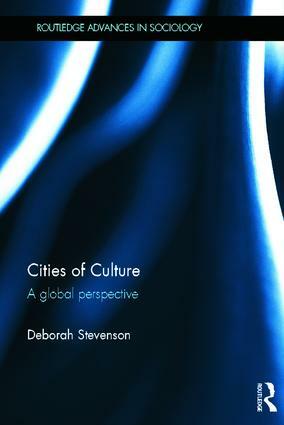 With reference to examples drawn from Europe, Australia, Asia and North America, Cities of Culture provides insights into the application of urban cultural strategies in different local, national and international contexts, highlighting regularities, tensions and intersections as well as core underpinning assumptions. This book explores the now-pervasive expectation that cultural planning is capable of achieving a wide range of social, economic, urban and creative outcomes. It will be of interest for students and scholars of urban sociology, urban studies, cultural policy studies and human geography.